346 – this is how many Karaites live in Poland according to the most recent census. They are by far the smallest of the four ethnic minorities established in Poland, but their culture is distinctive and should not be overlooked. Karaite is a word that signifies both a member of the ethnic group as well as a follower of the Karaite religion. Karaism (sometimes referred to as Karaite Judaism) emerged from Judaism in the 8th century as a movement opposing the Talmud as a sacred book or a binding supplement to the Tanakh – the canon of the Hebrew Bible. Karaites believe that all the divine commandments were given in the Tanakh and therefore need no further explanation or clarification. It is, however, an obligation of every Karaite to study the Tanakh and to interpret it in their own way, striving to find the most plain and obvious meaning. The ethnic group that goes under the global name of Karaites, Karaims or Qarays is nowadays dispersed all over the world and ethnologists divide it into three groups according to their stemming from the Crimea, Kuban Cossacks or Muslim countries. The name of the group derives from Arabic word 'qara’, which means to read or to recite, and alludes to their reading of the Tanakh. Where Do Polish Karaites Come From? The Polish name for Karaites inhabiting Poland is Karaimi. They are descendants of Crimean Karaites whose ethnogenesis remains a matter of research as well as heated debate. The first hypothesis says that their Jewish ancestors arrived at the Khazar-ruled Crimean Peninsula soon after they had split off from Judaism, at around the turn of the 8th century. They successfully preached Karaism among the Khazars and gradually blended with them, and then with the Kipchaks who came to the Crimea in the 10th century. Other sources claim that each of the three groups of Karaites have distinct origins. On this basis Polish Karaites acknowledge Turkic provenance only, entirely denying their being descendants of Jewish people from the Middle East. Even though the latter is suspected to be a 19th-century reaction to the anti-Semitic ideologies that were spreading in Europe at that time, the discussion of the ethnogenesis of the Polish Karaites remains unresolved. How Did They Come to Poland? What is undisputed, however, is that Crimean Karaites came to Poland and Lithuania (united by a personal union) at the turn of the 14th century, upon the invitation of Prince Vytautas. He asked them to settle in Trakai (Polish name:Troki), the informal capital of the Lithuanian Duchy. Legend has it that Prince Vytautas needed a new loyal group of close collaborators to act as his bodyguard and help him in the inner-Lithuanian 'game of thrones'. Thus, many Karaites became members of his court, not only as bodyguards but also as doctors, translators and accountants. They quickly became a privileged group with their own administration, lands and a separate district of the town of Trakai. In subsequent years more Karaite families arrived from Crimea to Poland but this time they settled on the south-eastern border, in the cities of present-day Ukraine: Lutsk, Halicz and Lviv. Both areas repeatedly changed hands from the 14th to the 20th century (often to Poland) and witnessed a vast part of the complicated history of this region. After World War II, when the Polish borders were drastically changed, many Karaite communities found themselves divided by a new border. 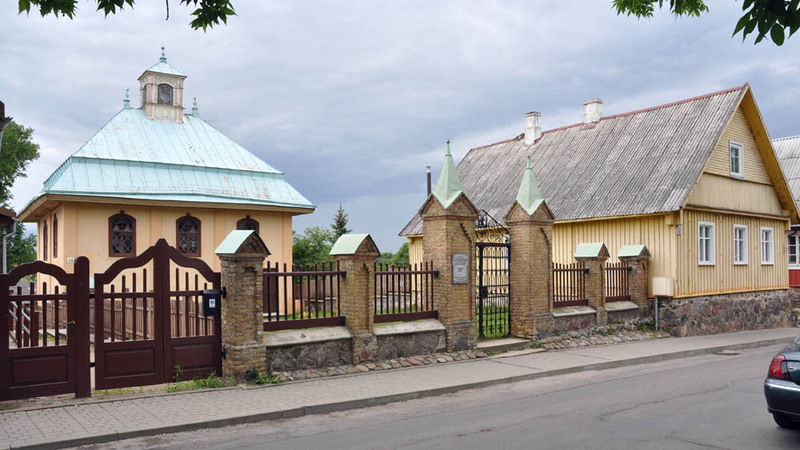 The biggest centres of Karaite culture became a part of Lithuania and Ukraine, hence present-day Polish Karaites are mostly descendants of post-war repatriates. Is There a Karaite Language? Nowadays, Karaites usually adopt local languages but some of those living in Eastern Europe can still speak the original Karaite. It came into existence in Crimea and belongs to the Turkic group of languages. Even though it has evolved and assimilated many words from Eastern European languages, some remnants of early-medieval Turkish can be found in its vocabulary. During the inter-war period Poland witnessed a renaissance of the Karaite language with books, magazines and poetry being written and published in Karaite. Aleksander Mardkowicz, the publisher of the most popular magazine – The Karaim Voice / Karaj Awazy managed to publish a Karaite-German-Polish dictionary. 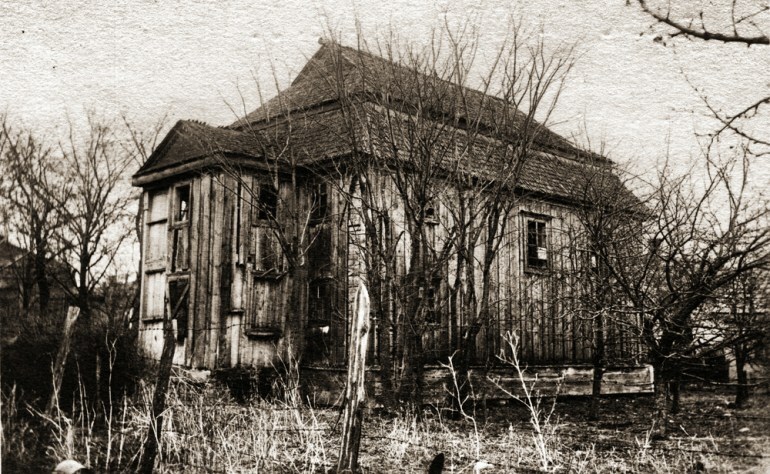 Although its revival was brutally interrupted by World War II, Karaites living in Poland remain the last ones to use Karaite as the liturgical language instead of Hebrew. 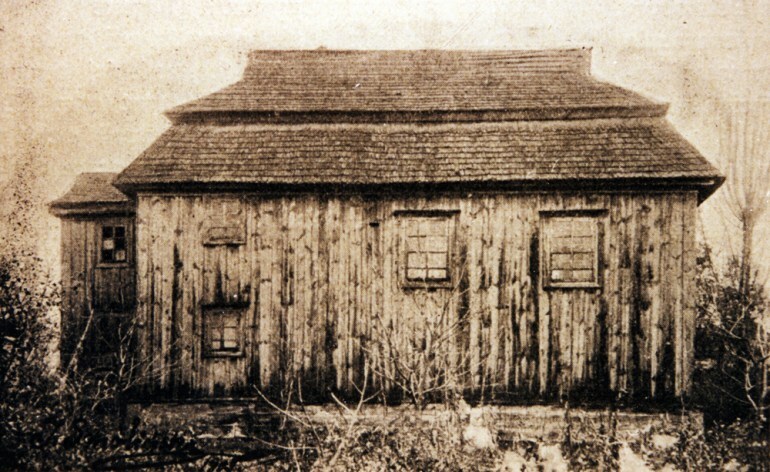 Kenesa – a Karaite synagogue. Dżymat – a Karaite community, originally of a religious character. Hazzan – a leader of a Karaite religious community. There are only a few thousand people worldwide who claim Karaite identity. Approximately 1,500 of them live in Eastern Europe, 346 of which live in Poland. They are dispersed throughout the country, and after the death of the last Polish hazzan Rafał Abkowicz they meet either at special events organised by the Community of Polish Karaims or on the occasion of funerals at the Karaite cemetery in Warsaw. Karaites are undertaking numerous efforts to preserve their identity, religion and culture, but they face inevitable obstacles, assimilation being the most formidable of them. To be of the Karaite faith one has to be born to both a Karaite mother and father which implied a strict rule of endogamy, although it is now less and less possible to follow this rule. The dispersion of the tiny Karaite communities makes regular teaching impossible and Karaite reunions rare. We know we can always count on our brothers in Lithuania to take our side. We stand together. Sources: 'Karaimi' ed. by Beata Machul - Telus, Wydawnictwo Sejmowe, Warszawa, 2012; karaimi.org; wilnoteka.lt.